Most of the cars require three set of fluids to operate – air/fuel mixture, engine oil, and coolant. None of these fluids should be exposed to each other. The head gasket is a device that ensures this does not happen. The head gasket is placed between the cylinder head and the engine block. The thickness and size will depend on the type of car and manufacturer. The head gasket seals the combustion chamber and prevents the exhaust gases from getting back. It also keeps the engine oil and coolant from the combustion chamber. A blown head gasket can cause further engine problems. 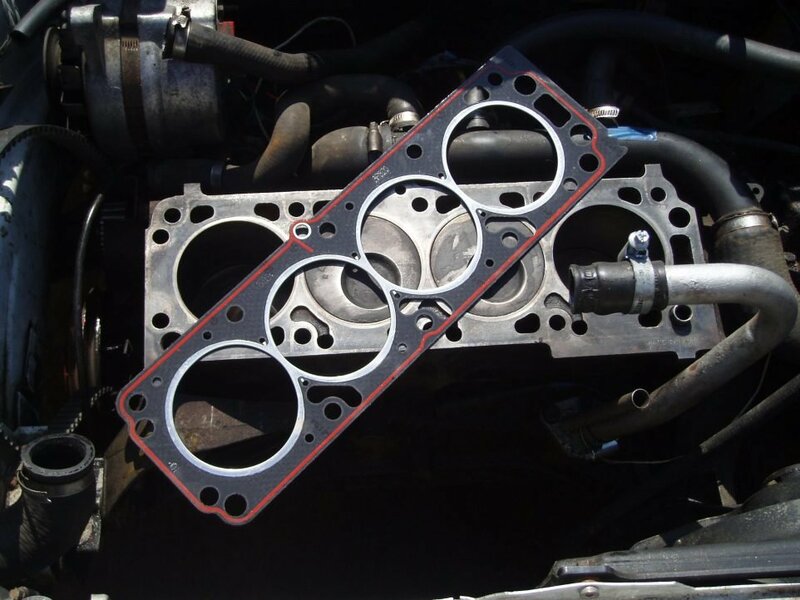 Various head gasket tests are performed to reveal the cause of blown head gasket. 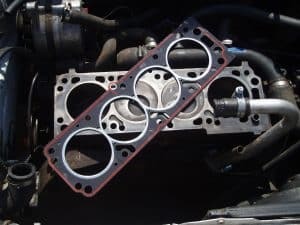 What causes a head gasket to blow? The gasket is well hidden between the engine block and cylinder, and this makes it hard to diagnose a blown up gasket. The gasket prevents the interaction of the combustion gases and the coolant – which can at times be operating at different temperatures. The gasket after numerous use can develop leaks and if not repaired can blow up. Oil goes into the engine through the drain valve. When the head gasket blows, the car starts consuming a lot of oil. You may also want to check your pistons before concluding that the gasket is the cause. A whitish smoke being emitted by the car is the first sign of a blown head gasket. There is also a reduction in a car’s ability to remain idle. A blown head gasket should be repaired immediately because oil is required for lubrication of the engine. If lubrication is not there bearing will wear out, and there will be a loss of viscosity. The high costs of driving with a blown head gasket are so severe that it is not recommended to try it. You will note that the problem is severe if you are constantly being forced to refill your radiator after driving a few miles. There are a few methods you can check if your head gasket is blown. Here are some of the most common signs. Since the gasket prevents the coolant from meeting the combustion gases anytime, it leaks the coolant evaporates with through the tailpipe. This is shown as white smoke which has a sweet smell. The white smoke is still present even when the engine is warming up. Depending on the leakage the white smoke can be large or small. Further head gasket tests are needed to ascertain that the gasket has blown up. Another sign of a leaking head gasket is when you notice bubbles in the radiator. The gasket prevents the interference of the coolant by the exhaust gases. When this happens, you will notice bubbles in the radiator even when it is cold. If you have a chemical tester, you can check the chemical composition of these gases. A faulty head gasket will lead to the coolant flowing into the combustion chamber, through the piston rings, and into your engine oil. Since oil and water do not mix a milky substance is formed. You can check this leakage by examining the end of the oil dipstick. Contaminated oil means that your engine is not operating efficiently. It could lead to further destruction of the cylinder walls and camshaft bearings. It could also precipitate corrosion of metal engine parts. If you are traveling for long distances and you have a blown head gasket, you will notice that the engine is overheating. The cause for overheating is lack of a coolant to cool the engine and coolant sipping into the combustion chamber hence hindering full combustion of gases. If the problem persists without immediate attention, the metal parts in the engine will start expanding and forming cracks. Permanent damage of the engine follows, and you will be forced to buy another engine. While this is not a conclusive head gasket test, when the coolant finds its way into the combustion chamber it will leave white deposits on the spark plugs. However, there are other causes for this, and you need to confirm with other tests. One of the key head gasket tests you can perform is that for carbon dioxide traces in the radiator. Since the head gasket prevents the mixing of combustion gases and coolant, you will notice some of the combustion gases in the coolant. A tester that changes color whenever it is exposed to carbon dioxide is used. When performing the test warm the engine first, then lower the coolant in the radiator so that you have enough space for the testing. Test the fumes that come through the coolant. For most of the testers, you should wait for a yellow color. Further head gasket tests are needed to confirm the results. You can also try driving for a few miles with the cooler cap lose. If you notice that the engine has consumed a lot of the coolant for a 50-mile journey, then the gasket could be leaking. In this head gasket test drive the car at a speed of 50 mph. Once you have replaced your head gasket, you need to find solutions to the problem so that it does not happen again. Ensure that the coolant is always filled whenever its PH falls below 7.0. If you are driving and notice that the engine is overheating, stop on the roadside and put cut off the engine. It is also wise that you purchase your head gasket from reputable manufacturers. Most of the gaskets in the market are of low-quality, and this leads to premature blown head gaskets. A blown head gasket if not fixed can cause further engine problems. 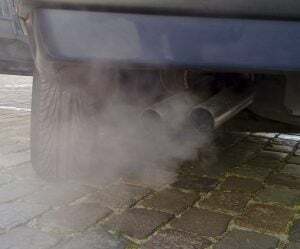 The first signs of a blown head gasket are white smoke coming out of the tailpipe. You can perform a carbon dioxide test in the radiator – traces of the gas are a sign of blown head gasket. It is not recommended to drive around with a blown head gasket. If you encounter the problem, immediately turn off the engine and carry out the head gasket tests mentioned above.